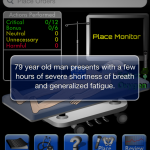 Overall, resuscitation is a very good app for simulating a case in the ER. There are a huge range of options available which will put doctors and medical students to the test. 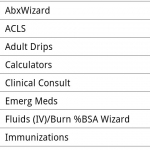 Highly recommended for teaching basic emergency department management. 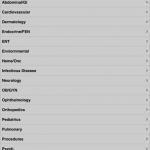 Medical Wizards Library for Android app is a customizable guide for professionals containing downloads on a range of fields. Add-ons are pay-for and institutional subscriptions not permitted.